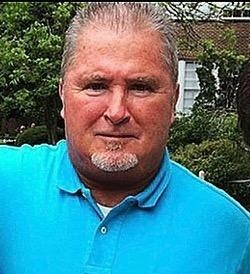 Charles Robert "Bobby" Pickett Jr.
Charles Robert "Bobby" Pickett, age 61 of Troy died Friday, February 1, 2019 in Montgomery after a lengthy illness. Bobby was an avid Alabama football fan and some say his home was a museum to Alabama football. He loved the beach and his yearly trips there with his son Trey. He also enjoyed yard work and grilling for his family and friends. A visitation for Bobby will be held Sunday, February 3, 2019 at Green Hills Funeral Home from 1:00 PM until 3:00 PM. His survivors include; son and his girlfriend, Charles Robert Pickett III "Trey" and his girlfriend Chandler Heaton of Tuscaloosa, daughter, Chelsea Devin Pickett of Demopolis, mother, Nellie Grace Wall Pickett of Troy, his sister and brother-in-law, Joyce and Mike Hill of Mt. Pleasant SC, special friend, Rhonda Bryant Kirby of Troy, and his dog "Bear". The staff of Green Hills is honored to serve the Pickett family.